When you get a call from your friends in a winery with a deal, you grab it! This time Steve at Cosentino contacted Chris. He found four cases of the 2007 “The CAB”. The normal price is ~$20 per bottle. He had a blowout price of $10 per bottle. And, when you purchased a case Cosentino had a penny shipping special. So, the case price was $120.01. That’s a hell of a price for a good tasting daily drinking Cabernet Sauvignon! When Chris shot me the note asking if I was interested, I said yes! We bought two cases and I also suggested she contact Dave as I was sure he would be interested as well. Before the day was over we had three cases of 2007 The CAB on its way to Minnesota.. priceless! A week later the wine showed up at Chris’ office and I drove in to grab some. The same time we decided that individuals on her WEBCO Team should also have a bottle to enjoy. During the day, I was receiving “Thank You”! emails from the employees. I suggested that they should not drink the bottle for a couple of days as the shipping can sometimes stir up the wine. It is best to let it sit a couple of days on a counter prior to cellaring or pulling the cork and Kristy, Chris’ bookkeeper was disappointed she had to wait! We too waited a few days before enjoying a glass with our dinner. Here are my tasting notes. Medium color depth with a nice garnet hue. The CAB had no sediment in my glass. The CAB was moderate to semi-aromatic and it smelled fruity and young. (For a $20 bottle it had a pretty good nose.) We noted sweet dark cherry, dark fruit, and vanilla. Initial tastes were slightly dry and it was medium to full-bodied. The acidity was good (it did not taste tart or flabby). 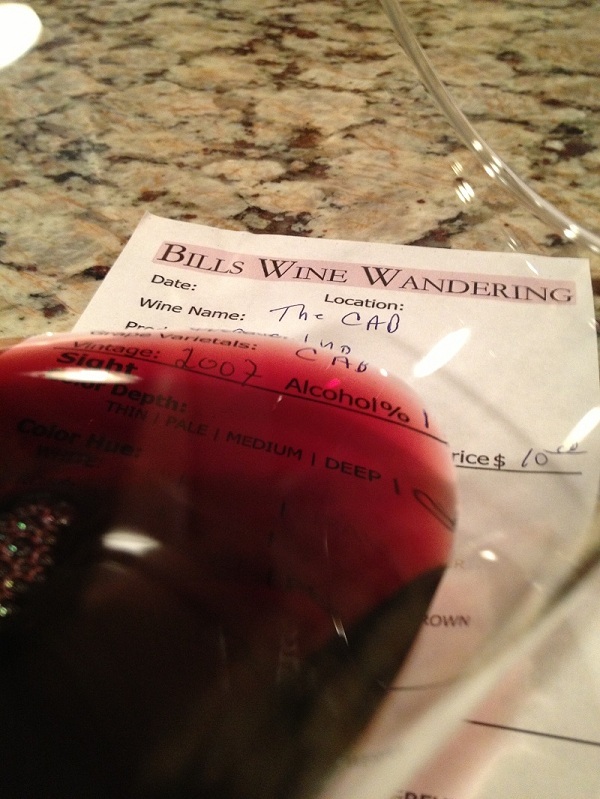 The tannins were medium to soft and could be felt in my mid palate. 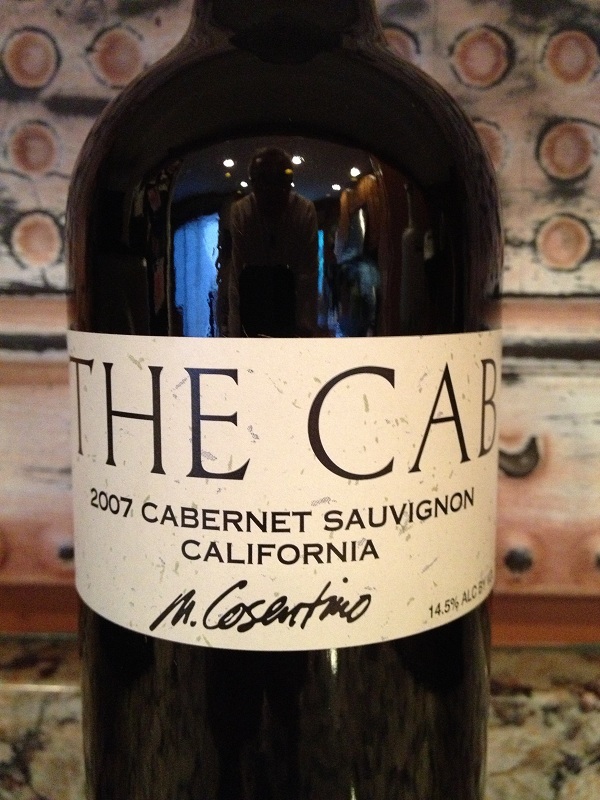 This CAB was very flavorful and the finish was soft and silky. How much: Retail about $20 but we bought the wine for $10 per bottle. I rated The CAB three glasses. For a $20 bottle, the wine was very good. It is a great everyday guilt free wine.